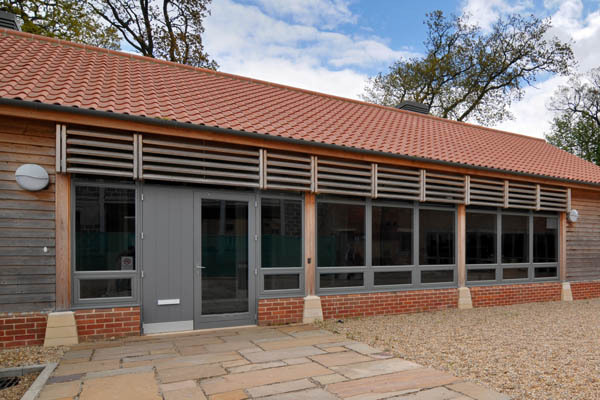 Adrian James Acoustics is a fully independent acoustics consultancy specialising in buildings for the arts and for education. The practice combines the technical facilities normally associated with large companies with the flexibility, speed and economy of a small specialist consultancy. Our aim is to assist in the design and refurbishment of acoustically excellent buildings within the limited budgets often available for such projects. A large percentage of our turnover is in the field of buildings for the arts, broadcasting, recording and education. The vast majority of our work is the direct result of specific recommendations from clients and designers with whom we have worked before. We therefore have an enviable reputation for reliability, technical excellence and client satisfaction. As a privately owned limited company we do not suffer from the financial pressures that would come from a parent company or external shareholders. This financial independence allows our working practices to be led by consideration of quality, ethics and sustainability. Or to put that less formally - if we were in business just for the money, we'd be in the legal or financial sectors. Not being driven by artificial financial targets means that we can do our job properly. We find it's a lot less stressful and a lot more fun that way. It means that we can take time to think and talk about each project, however small or seemingly routine. The result is that no job leaves the office without having been discussed in depth, not just at the report-checking stage (our QA system requires that too) but before the report is even started. One thing that surprises visitors is that the company provides lunch for all staff in our conference room (the administrative staff job description includes knowing how to dress a salad). This means that there is one time in the day when we all get together and talk. We could achieve the same thing through weekly brainstorming meetings and team-building exercises on Dartmoor, but we find that lunch works better. It would be nice to claim that this stems from some deep philosophical or management theory. In fact when he started recruiting staff, Adrian James simply listed all of the things that he didn't like about his six previous employers, and set out to avoid making the same mistakes. It seems to work as we have an extraordinarily low staff turnover.